Dreams are instilled in us as children from the time we start to use our own imaginations. Some are played out by imitating our world and others are brought forth from what's within us, (our dna, our interests, talents and desires). How we nurture the dreams of our hearts depends on our childhood experiences and many times, our relationship with our fathers. My husband and I are fortunate to live close to our children and grandchildren. For two years now, we've watched our son's daughter grow. 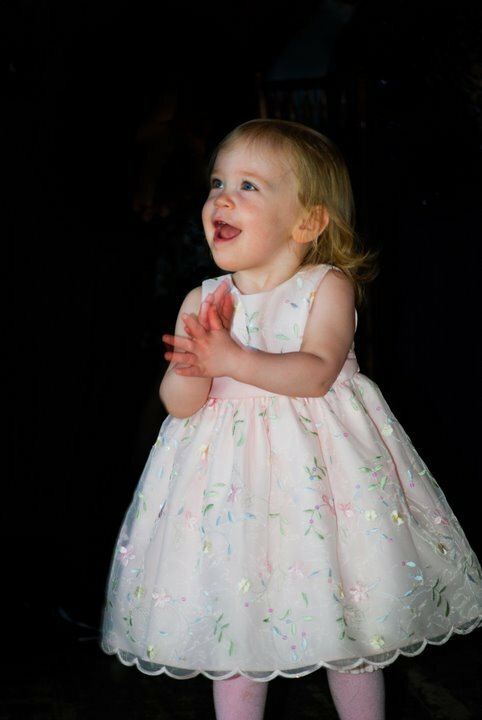 We've seen her personality emerge, her language develop, her legs get longer and marveled at how God made her so much like her parents but so much His own. We love to interact with her face-to-face but we also enjoy watching her from a distance, interacting with her father. 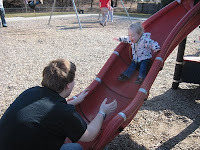 Thanks to her mom's talent for capturing the moment on film, we caught a glimpse of them recently, playing at the local playground. There she was, arms wide open, a giggle on her lips and with free abandon, sliding into the open arms of her daddy at the bottom of the slide. Their joy in each other was evident, the trust in her father assured by his presence. I sighed to myself, "What a great picture of our freedom in Christ!" 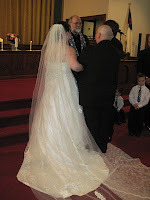 Two weeks ago, our daughter married. It was a day that held great anticipation and tremendous joy. As I watched her walk that lacy aisle, arm in arm with her father my heart reminisced of all the steps God walked her through these past two years to get to this moment in time. And, as her father placed her hand into the palm of her husband he exclaimed his approval of their union by saying, "(I give her to David) with all my heart!" Those words surprised me and before I could silence myself, I choked out a sappy, "Awww." Again, I thought, "What an awesome picture of our freedom in Christ." God places dreams and desires within us. If we allow it, He nurtures them throughout our lives with His unconditional love, discipline, guidance and trust. He brings healing to our wounds with his gentle touch and protects us from our enemies with his strong arms. He celebrates the fruition of our dreams with joy and gives us away with all His heart to play out our role that He's orchestrated for our lives.